iTech delivers a best fit Web-based Medical Billing Software and a complete Practice Management Solution with several advanced features to its clients. The Practice Management Software is designed to simplify and streamline the whole Medical billing process and it allows you to track claims and control over the processes in real time while you focus on expanding your business and delivering the best service to your clients. You work with iTech as a technology partner that delivers your growing technological challenges as your organization grows. iTech’s expEDIum Medical Claims Processing solution is a sophisticated secure web based Medical claims processing and claims life cycle management solution. 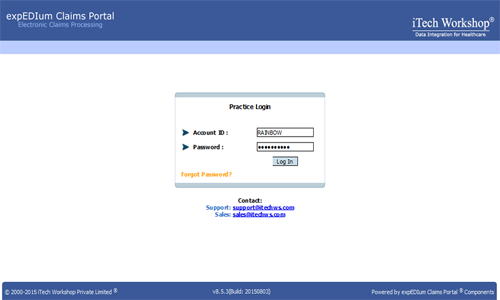 This is an optimal solution for claims processing TPAs/ASOs, IPAs, Clearinghouses and other claims processing BPOs. This comprehensive solution allows limitless workplace, effectively controls claims processing & adjudication workflow, online referrals & authorization management with many other features. The Solution is cost effective and available in a monthly subscription. Since iTech being a complete Medical Billing Software and Practice Management Solution provider and highly expertise in this sub-set of the Industry, we are best fit partners for EHR/EMR companies. iTech provides a white label solution to EHR/EMR partner to seamlessly integrate with their EHR/EMR and hence facilitates the EHR partner to deliver a single and complete integrated EHR + PMS + Clearinghouse solution to healthcare practices across USA and expand the market. iTech always goes the extra mile to deliver a meaningful valued partnership to our Partners irrespective of size and specialties. iTech expEDIum EMS is a custom build solution that makes EMS/Ambulance Billing more easy and controllable using our expEDIum Medical Billing Software. This advanced and secure web based solution limits to no boundaries to users allowing them to use from anywhere they are and yet control the process effectively. 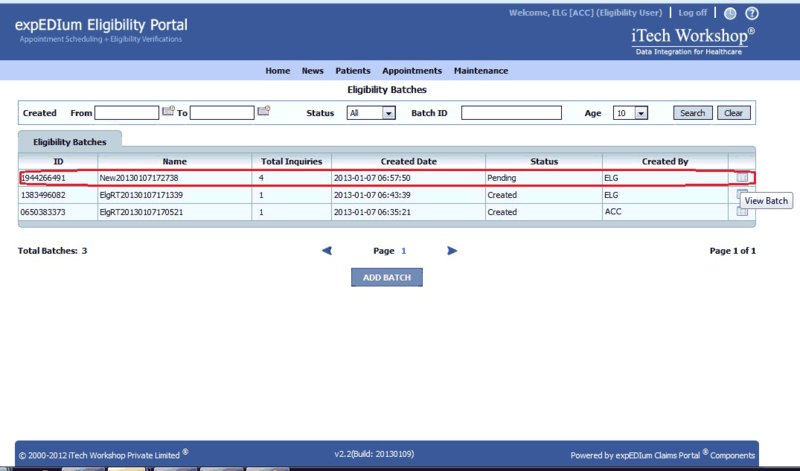 The solution is equipped with several EMS/Ambulance specific features based on guidelines and practice environments. 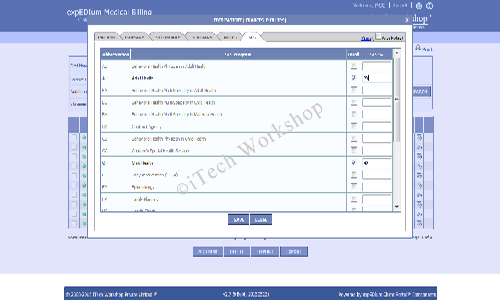 iTech’s Public Health Web based Billing Software and Practice Management Solution helps to easily manage and automate their complex billing process. iTech delivers a best fit technology to Public Health clinics by initiating public health specific features such as SFS programs, direct payer connectivity, debt set-of and several special features for this particular market. 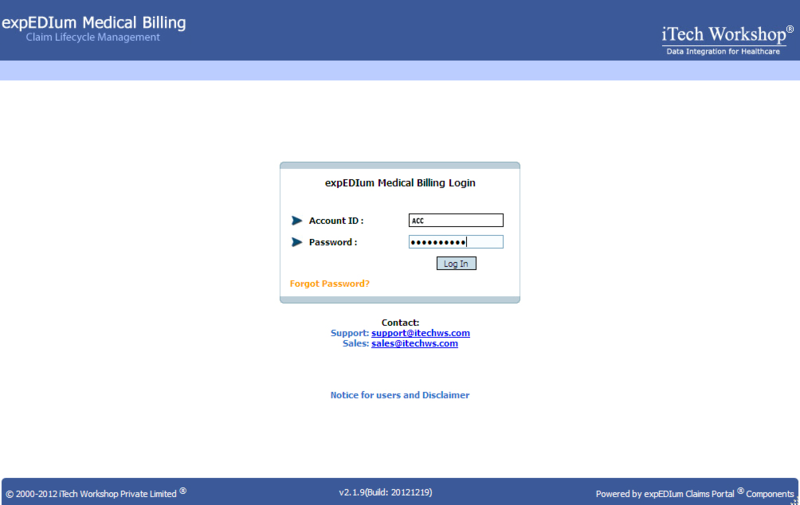 This makes expEDIum Billing Solution a leading Public Health Billing Software in a few States. iTech expEDIum Mental Health Billing Solution is a custom build solution that makes Mental Billing more efficient and control using our expEDIum Medical Billing Software. This advanced and secure web based solution limits to no boundaries to users allowing them to use from anywhere they are and yet control the process effectively. We understand the fact that every states has unique guidelines and practice to do mental health billing and gets paid. iTech expEDIum Suite was designed to enable a seamless connection between healthcare practices and payers securely and to meet the current healthcare trend of reducing healthcare cost. Solutions are standard based and completely automate the whole billing & claims management process and hence increases the efficiencies and meeting any mandated requirements. Use latest technologies and available over the Internet or intranet. Solution has more capabilities and scalable which can process millions of claims and handle thousands of users unlike legacy systems. Provides seamless integration using secure transfer protocols. Provides a level of integration across providers through the HIPAA valley to the Payers providing better visibility and management of lifecycle of claims. Reduces total cost of maintenance (TCM) due to comprehensiveness of the solutions and iTech support. Suitable for any size of healthcare practices/business due to suitably priced and offering limited customization to best fit their business. Please contact us or fill the form at Demo Request Page should you have a question or want to see a live demo of an expEDIum Solution.